The world in world wars: experiences, perceptions and perspectives from Africa and Asia - Edited by Liebau Heike, Bromber Katrin, Lange Katharina, Hamzah Dyala, and Ahuja Ravi. 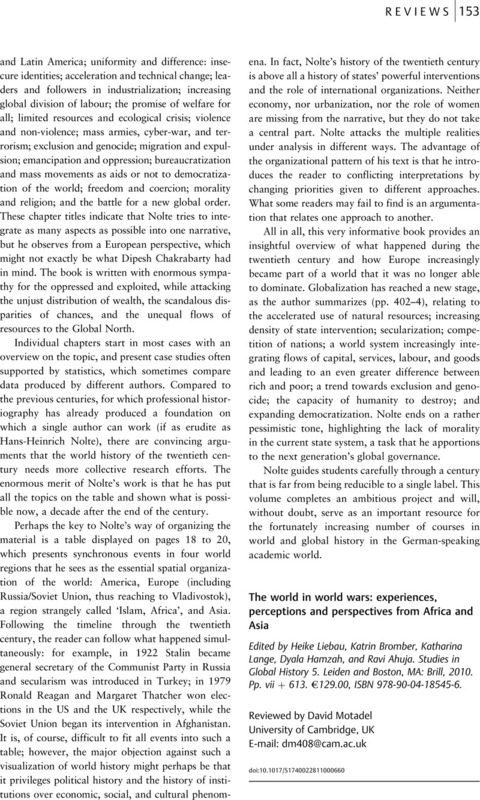 Studies in Global History 5. Leiden and Boston, MA: Brill, 2010. Pp. vii + 613. €129.00, ISBN 978-90-04-18545-6.